BIRMINGHAM, AL — Deontay Wilder successfully defended his WBC heavyweight strap last night with a bloody and bruising 11th round stoppage win over a surprisingly durable Johann Duhaupas. Although Wilder was never in danger of losing (winning every round), Duhaupas was able to put a large mouse under the titlist’s left eye and test his endurance with constant pressure. Wilder satisfied his fellow Alabamans with another dramatic stoppage, but questions remain about how long he can hold onto that belt. THE GOOD: When Wilder works that long jab (83′ reach), it leaves most opponent in a dangerous “no man’s land” where Wilder can safely rain home hard right hands. Any attempts to counter from outside after futile since the Bronze Bomber can see them coming and move straight back with little consequences. This strategy opened a cut along Duhaupus’ nose and put swelling under his left eye. Wilder is clearly not comfortable fighting inside, but he showed a new wrinkle to his game by occasionally fighting well in the pocket. He found success with hard uppercuts through Duhaupus’ high guard, and tightened up his usually looping hooks to whip them around the challenger’s gloves. The 11th round knockout was the latest Wilder has ever stopped an opponent, eclipsing the 9th round TKO of Eric Molina in June. This is a solid indicator that Wilder can keep his power in the championship round despite a high pace. THE BAD: Wilder took a lot of punishment from a guy no one would rank in the Top 20. Duhaupas is a light puncher (59% KO), but he landed enough power shots to shut Wilder’s left eye and make him bleed. 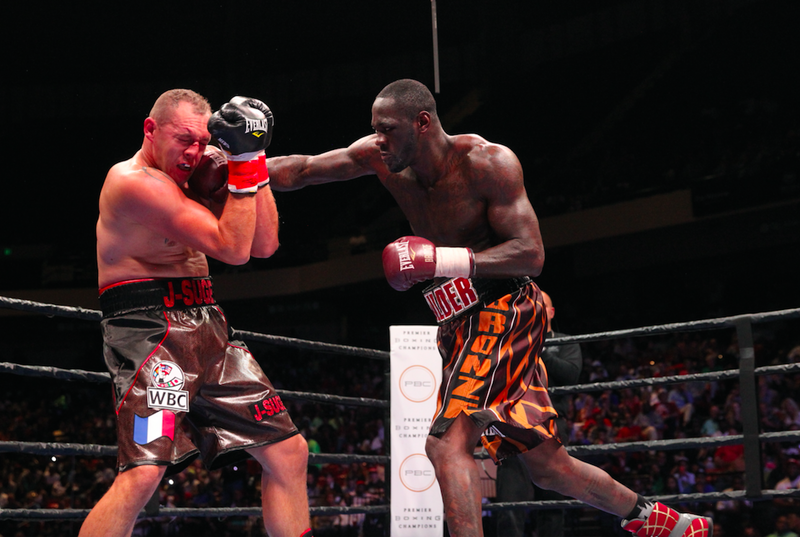 He constantly breached Wilder’s long range and forced the champ to cover up to avoid the onslaught of hooks. When Duhaupus got inside, he sometimes hesitated. 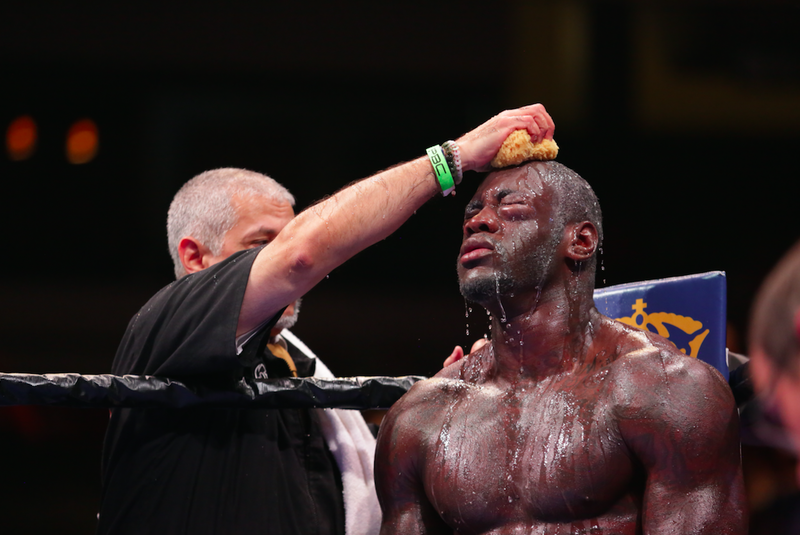 This could be due to concern for Wilder’s power, or just not having the skill to fight well in the trenches. Wilder’s WBC mandatory, Alexander Povetkin, has no such problems. The Russian works the body well and delivers devastating power to whoever stands in front of him (ask Mike Perez). Wilder pulling straight back on Povetkin is a death sentence. Yes, you could argue Wilder fought sloppy because he knew that his opponent was not a serious threat. The problem is instead of his competition increasing since winning the title, it’s gotten worse. This creates bad habits that can’t simply be reversed fight to fight. And if Wilder does squeeze in another bout before facing Povetkin, you can be assured it’ll be against another weak fighter. How does that help Wilder’s development or get him ready for a Top 5 heavyweight? 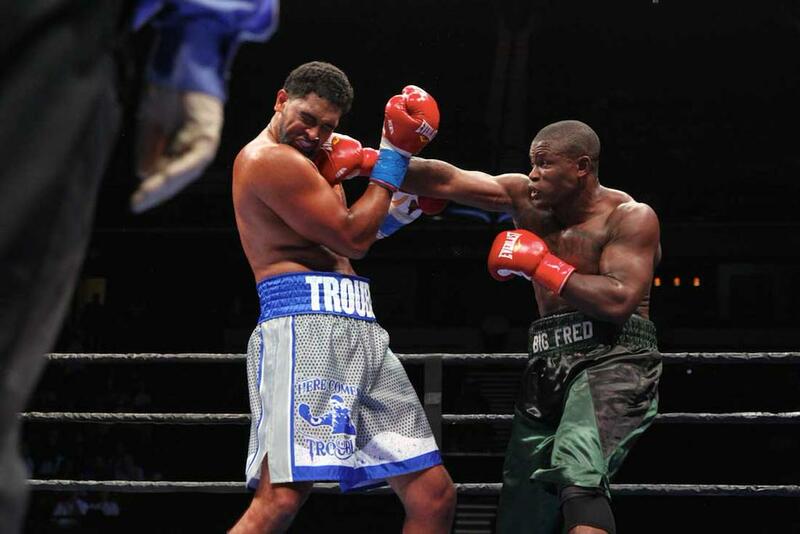 THE UGLY: The co-feature of Dominic Breazeale vs. Fred Kassi goes down as one of the worst decisions you’ll see all year. The 6’7 Breazeale towered over Kassi, and early on found success working the body and landing a few right hands. However, Kassi controlled the bout from the fifth round on, countering Breazeale off the backfoot and neutralizing his offense with upper body movement. In the late rounds, Kassi was landing the cleaner and harder shots, but Breazeale kept up a higher workrate. For those reasons, I anticipated two close scores and one wide for Breazeale, since he’s a PBC house fighter. Instead, we got three poor scores that got more ridiculous as the announcer went on: 97-93, 98-92 and 100-90. Coming off the “draw” with Chris Arreola a few months back, you have to feel for Kassi.